I am rereading Villette, Charlotte Bronte’s autobiographical masterpiece: rereading classics is the best remedy for jet lag. In this intense, gorgeously-written novel about a solitary woman, the narrator, Lucy Snowe, travels to Belgium in search of work. Stalked by two men as she seeks a hotel in Villette, she loses her way and finds herself in front of a girls’ school. She believes fate has led her to the school, where she finds a post as an English teacher. Her life is gray and quiet, but it is not dull. Orphaned and alone, Lucy is a more repressed, quieter doppelgänger of Bronte’s Jane Eyre. She does not get the guy. She will never meet Mr. Rochester. Well, there is a guy, M. Paul, but he is less romantic than Mr. Rochester (whose brusque, sadistic manner does not endear him to me). Bronte spices up the restrained narrative with a fit of delirium, a ghost, and a drug dream. The narrative has the effect of being as sharp, crystalline, and claustrophobic as a hall of mirrors. In a chapter set in London, Lucy wanders into a bookstore and spends money she can’t afford. Elation and pleasure were in my heart: to walk alone in London seemed of itself an adventure. Presently I found myself in Paternoster Row–classic ground this. I entered a bookseller’s shop, kept by one Jones: I bought a little book–a piece of extravagance I could ill afford; but I thought I would one day give or send it to Mrs. Barrett. Mr. Jones, a dried-in man of business, stood behind his desk: he seemed one of the greatest, and I one of the happiest of beings. No wonder I identify with Lucy! THE TENTH ANNIVERSARY OF STEPHANIE MEYER’S TWILIGHT. Some years ago, a friend pressed this book into my hands. She said I would not be able to put it down. Not only did I race through Twilight, but I dashed off to Target to buy the other three books. Okay, the story is unrealistic. Bella falls in love with a vampire. But so what? Are humans so great? Edward is a sensitive, well-educated guy. He is great at sports. He fights evil vampires. And eventually Bella saves the world. I mean it! Meyer is a witty writer and a great storyteller. There is a lot of humor in this novel. Is the writing good? Well, some of it is. In the beginning of Twilight, we learn that the narrator, Bella, has “exiled herself” to Forks, Washington, a town she detests, to live with her father. Her description is amusing and reasonably well-written. 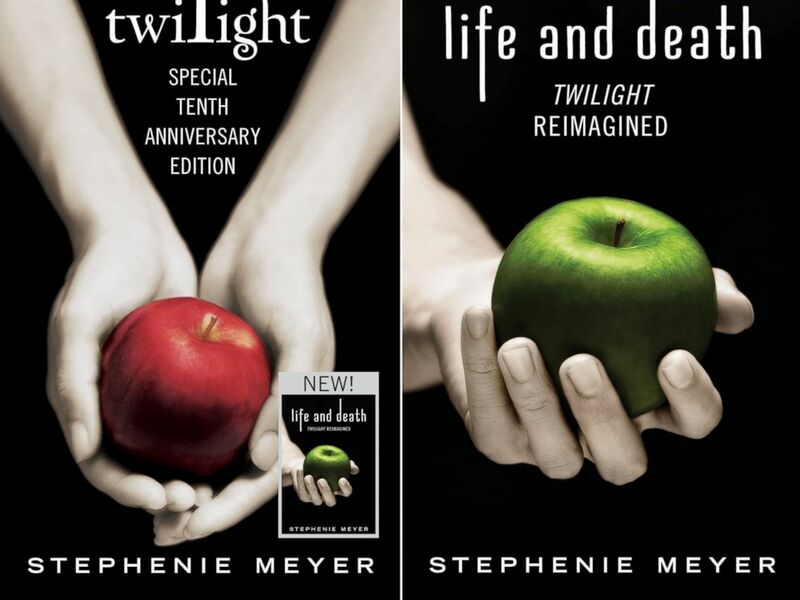 In honor of the tenth anniversary of Twilight, Hachette as published a “double feature” edition of Twilight. In addition to the original novel, you can read Life and Death, Meyer’s reimagining of the story from a male point of view. I do want to read this, but I can certainly not buy any more books this year. Instead, I will reread Twilight. Bronte and Meyer together: why not? This entry was tagged Charlotte Bronte, Twilight, Villette. Bookmark the permalink. Yes, they are a wonderful thing! I’m fascinated that Lucy visits one. I only really like the vampires in Twilight. :) I loved Dracula when I was 14, but am afraid to reread it! Villette is one of my favorites! London certainly has great bookstores. But what a long way for me to go to buy books… well, we have nothing like them where I live. And I live in a small village where there is no bookshop but a newsagent I tried to help having a bookshop section (in French and English), and the supermarket, which means virtually no books. Then there is the “chef-lieu de département”, Périgueux, but there are no English books to be found. None either in libraries. I live on what we has been collected at home during years and years and a few new ones I bought some time ago. But I like re-reading a lot – more and more, which is fortunate! Oh, dear, that is a shame! I love to reread, too, but it is nice to have access to used books especially. Are there book swap programs online in France? Sometimes you can get really cheap books at Abebooks or Amazon, but I suppose those would be expensive to get in France (unless Amazon in France sells English books?)! My books in London will have to last me for a long time. Oh my goodness, books are expensive, I know. Better to eat and reread! Actually, I love rereading and think it is often best. You’re doing a good thing taking care of your family. 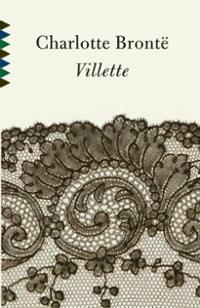 I enjoyed Villette but the ending, or lack of one, drove me crazy! Yes, Villette is a very great book, but Charlotte is a risk-taker with that ending! Love this juxtaposition! Even though I haven’t read Twilight yet. And I love Lucy’s bookstore visit, that’s a quotation to save and savor. It is very striking when you’ve just done something and then read about it in a book. I’ve read Villette many times, but never noticed the bookstore. I love Twilight! It’s one of those books adults like as much as the Y.A.s.